Scientists from the Institute of Atmospheric Physics at the Chinese Academy of Sciences have announced that they have launched a rocketsonde – a rocket designed to perform weather observations in areas beyond the range of weather balloons – from an unmanned semi-submersible vehicle (USSV) that has been solely designed and specially developed for this task. The results of initial sea trials were published in the journal Advances in Atmospheric Sciences. Obtaining accurate meteorological and oceanographic (METOC) data requires conducting ocean-based meteorological and oceanographic sampling of an extensive marine environment that covers nearly three-quarters of the Earth’s surface. Traditionally this has been achieved by using ocean-based observation platforms such as ships and buoys, as well as satellites and aircraft. However, because these methods are expensive and/or logistically impractical to deploy over a wide – and often environmentally hostile – area, the data collected is patchy and therefore unreliable for marine and meteorological research. According to lead author, Hongbin Chen, a professor of atmospheric and marine science at the Institute of Atmospheric Physics, radiosonde (a battery-powered telemetry instrument carried into the atmosphere usually by a weather balloon that records meteorological measurements and transmits them via radio to a ground receiver) is currently the principal method used to obtain the vertical distribution of meteorological data within the atmosphere, but the number of upper air sounding stations in the ocean is limited compared to land sites. Although both dropsonde weather balloons which are deployed from aircraft and record atmospheric data as they drop down to Earth, and driftsonde weather balloons containing meteorological instruments enclosed in a gondola – which depending on the pressure of the balloon, are capable of drifting in the stratosphere anywhere from five days to a few weeks or even months – are routinely used over the ocean, these cannot meet the needs of marine weather (such as typhoon and fog) research, numerical prediction, marine atmospheric boundary layer (MABL) modeling and marine satellite product validation. 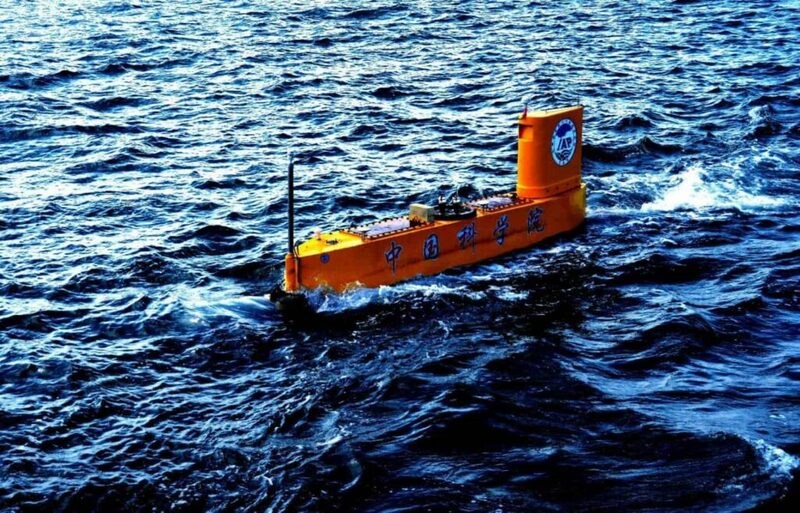 “Launched from a long-duration unmanned semi-submersible vehicle, with strong mobility and large coverage of the sea area, rocketsonde (meteorological rockets that are capable of launching weather instruments up to 8,000 meters into the atmosphere) can be used under severe sea conditions and will be more economical and applicable in the future,” says Chen.